Simple web design for a fabric artist whose work is bold and colorful. 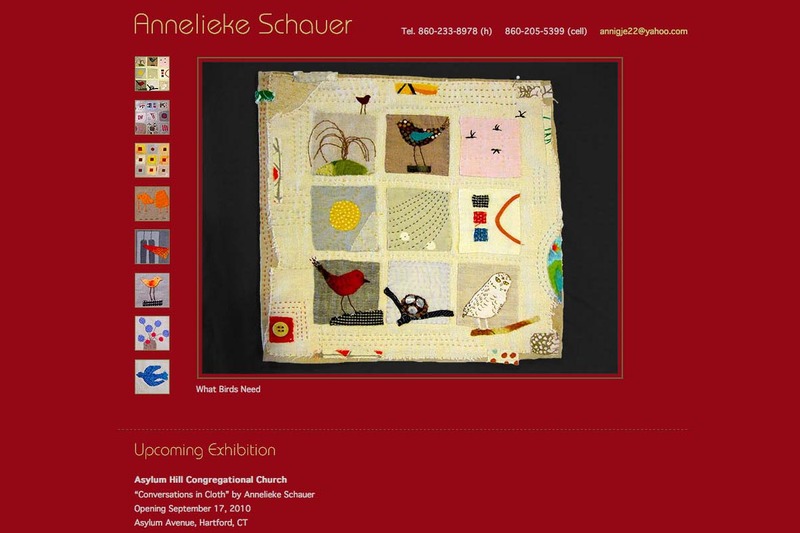 The client wished to display eight pieces, with upcoming shows and contact information all on the one page. The gallery was created to clearly and easily show the eight pieces (with varying proportions) with images easily accessible via thumbnail mouseovers. This site was published in July 2010. To view our more contemporary designs, please visit Recent Websites.